Kelsey Sutton is the author of teen novels SOME QUIET PLACE and GARDENIA. 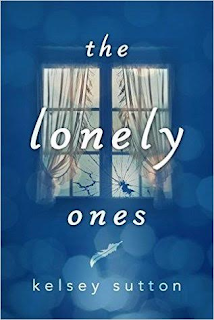 She is also the author of two novels for middle grade readers, THE LONELY ONES and BENJAMIN. She lives in Minnesota, where she received a dual bachelor’s degree in English and Creative Writing from Bemidji State University. 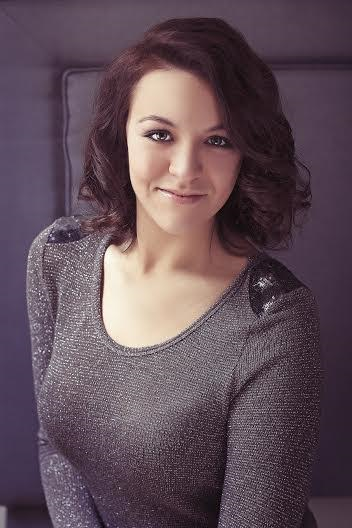 She is currently working on a master’s degree from Hamline University. Her work has received an Independent Publisher Book Award, an IndieFab Award, and was selected as a Kirkus Reviews Best Teen Book of 2013. When not writing, Kelsey can be found watching too much Netflix, ordering a mocha at the nearest coffee shop, or browsing a bookstore. Fain is lonely. Her parents are too preoccupied with their own misery to pay her any attention, her siblings have their own lives and Fain doesn't have any good friends at school. At night she has a lot of friends though. When she's supposed to sleep she spends her time outside with monsters and other fairytale creatures. Fain finds solace in her writing. She has a vivid imagination which always pulls her through no matter what happens. When she's being betrayed by someone she likes very much she has to make a decision. Will she keep being lonely or will she make an effort to make people notice her again? The Lonely Ones has been written in free verse. It's a beautiful story about a lonely girl who lives in a fantastic imaginary world. Fain's days are a lot less spectacular than her nights. Her story is heartbreaking and I shed several tears while reading this book. The writing is brilliant. Even though a story in verse has less words there are plenty of layers. Kelsey Sutton can say a lot in just a few sentences, which is a big strength. The verses are all fantastic. I was impressed by their quality. They seem so effortless while it's clear Kelsey Sutton worked very hard to find the exact right words and rhythm at the same time. The Lonely Ones is a book to read again and again. It's very impressive and an absolute must-read. Great review, Suze!! Thanks so much for joining The Lonely Ones Review Tour!!! Awesome! Love this cover and totally excited to read this! Thanks!